John F. Carter is one of those veteran traders that's seen it all. And last year he knocked it out of the park and made over $1 Million in about 24 hours on a single trade. 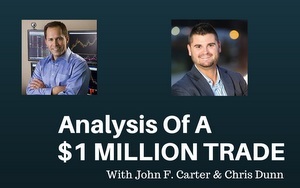 In this interview I get John to explain how a trader mentally handles holding on for a massive move.